Back when living in the bush was still just a daydream reserved for rainy days in the city, Villiers and I started talking about retirement. They say there are two types of people: bush people and beach people. 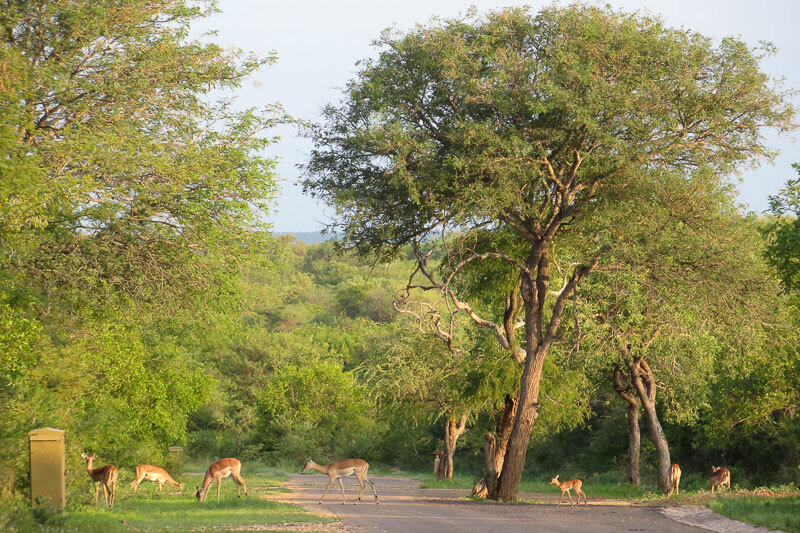 We’re firmly pledged members of the former, so naturally our musings wandered towards a life in the Lowveld. 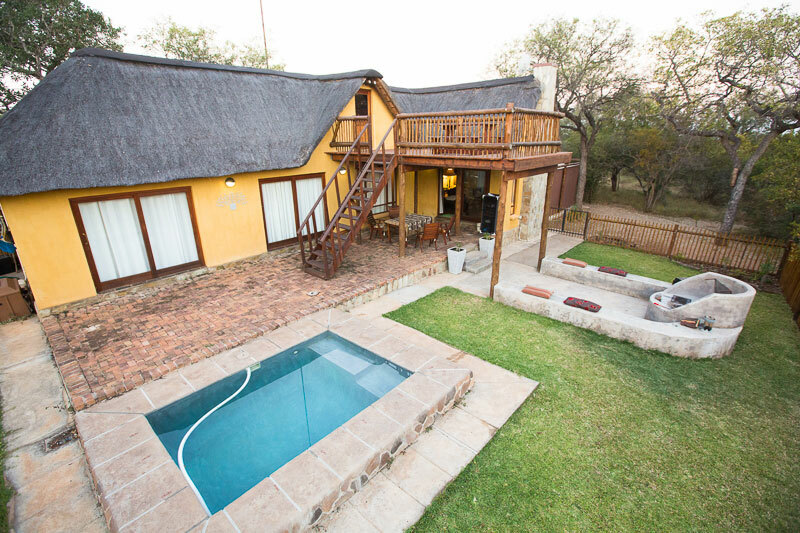 Our house in the Hoedspruit Wildlife Estate, photographed in summer. 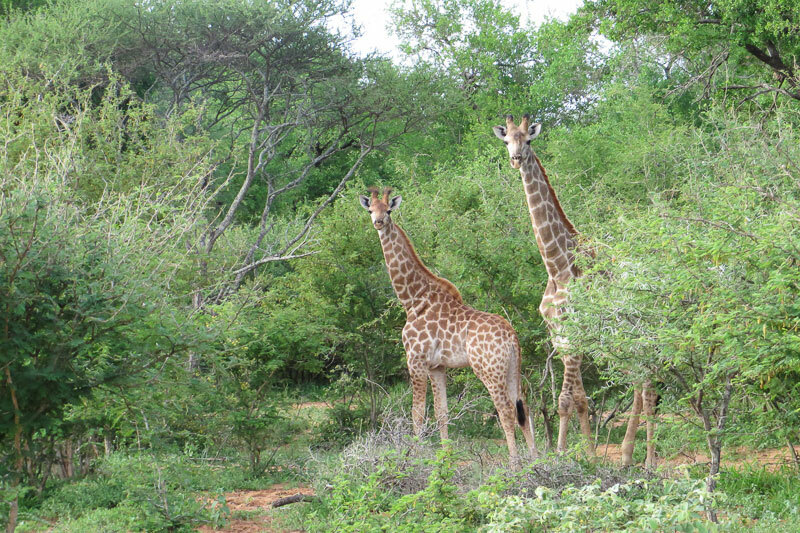 “It’d be awesome to buy a caravan and just live out our lives in the Kruger National Park”, said Villiers one day. I think I may have vaporised him with my mind at that point. Kruger’s great, but I wasn’t about to spend my golden years sharing a loo with four thousand strangers on a daily basis. This sort of thing doesn’t seem to bother a lot of men, but once I’d expressed my position on this (quite emphatically) we started considering other hypothetical alternatives. 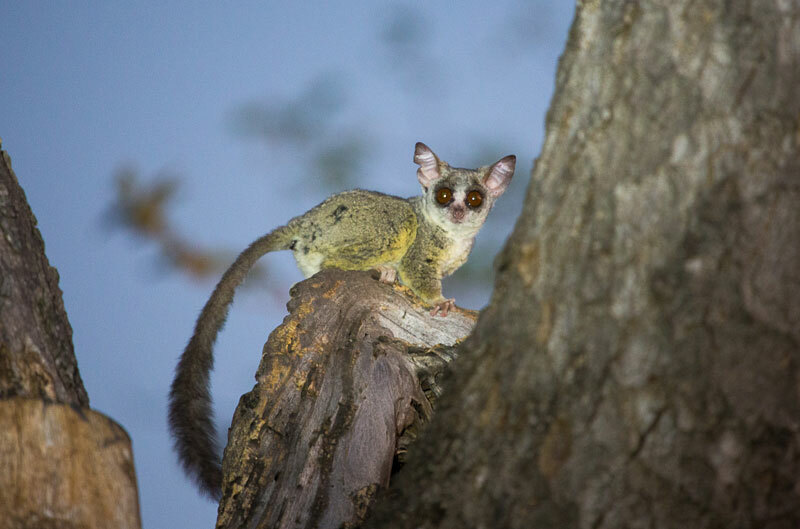 One of the resident lesser bushbabies leaving its hole at dusk. Well, they started off as hypothetical. 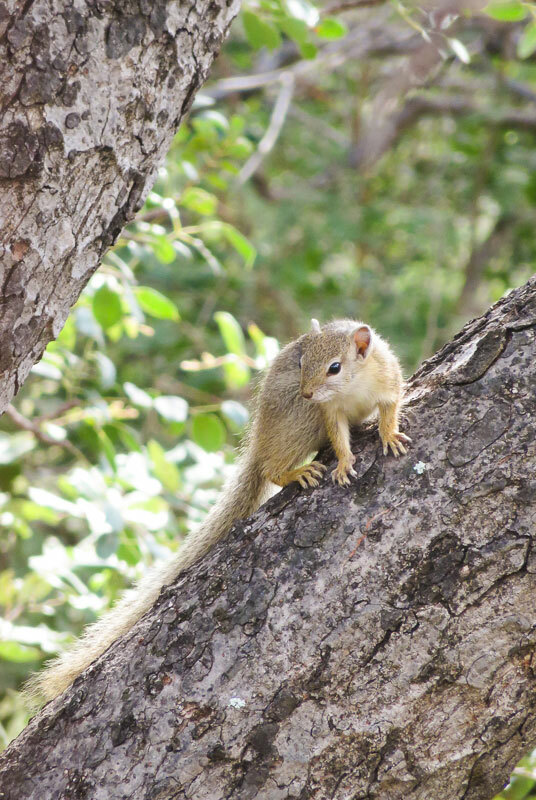 Villiers Googled ‘houses in the bush’ and came across multiple listings in various wildlife estates in and around Hoedspruit, a place we’d last spent any significant amount of time in as conservation students over a decade earlier. Back then the town consisted of a Spar, a petrol station, The Trading Post – the local hangout for game rangers, students, and volunteers from game ranches and reserves in the area – and a dodgy nightclub called Fort Coepieba (I ought to note that it’s not nearly as dodgy any more). There’s a total of eleven very relaxed giraffe on the estate. “Look at this one.” He showed me a picture of a lodge-like, multi-windowed, thatched house with a generous entertainment area and a view over the Lowveld that made us both drool. “What do you think you’d pay for this?” he asked. Of course I named a figure that’d make Richard Branson blink. The main road, Rotsvy Street, with the Drakensberg Mountains in the background. He shook his head and called up the listed price. My jaw dropped. We knew people living in city houses one third the size who’d paid almost double. Feeling there must have been some kind of mistake, we called up some of the other listings, but found them all much the same – entirely affordable. Suddenly life in the Lowveld not only became a reality, but one we wouldn’t have to wait for retirement to achieve. 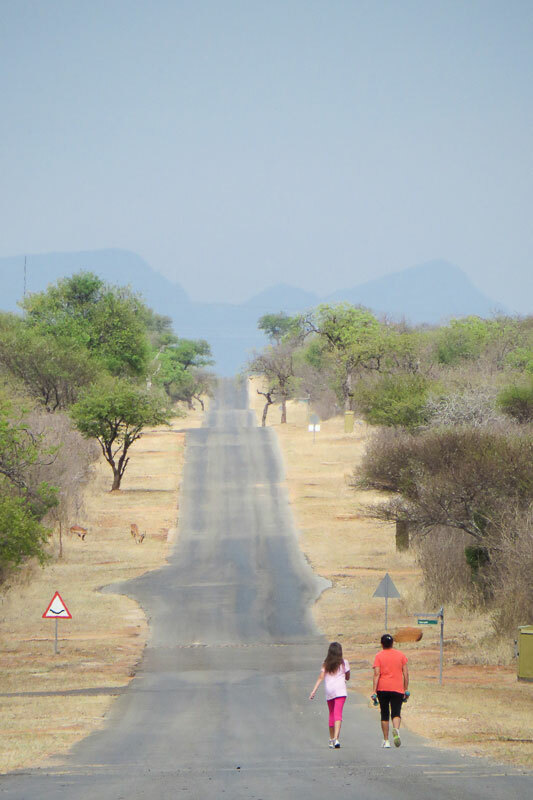 Hoedspruit is at its most beautiful in summer. Within six months we’d packed up our Pretoria East flat and moved into our ‘retirement’ home in the bush. I doubt I need to extol the virtues of living in a wildlife estate, especially to other bush-lovers, but waking up to the sound of francolins and going to bed under a sea of stars unveiled by smog is worth the strain of living without a Woolies. In fact, with all the lodges in the vicinity, Hoedspruit’s Pick ‘n Pay does a brilliant job of making up for our Woolies cravings. It’s also seven minutes from my front door, and that’s only because of the 30kph speed limit in the estate. In the city we had countless malls to satisfy every whim and desire, but none within a traffic-free, seven minute radius. 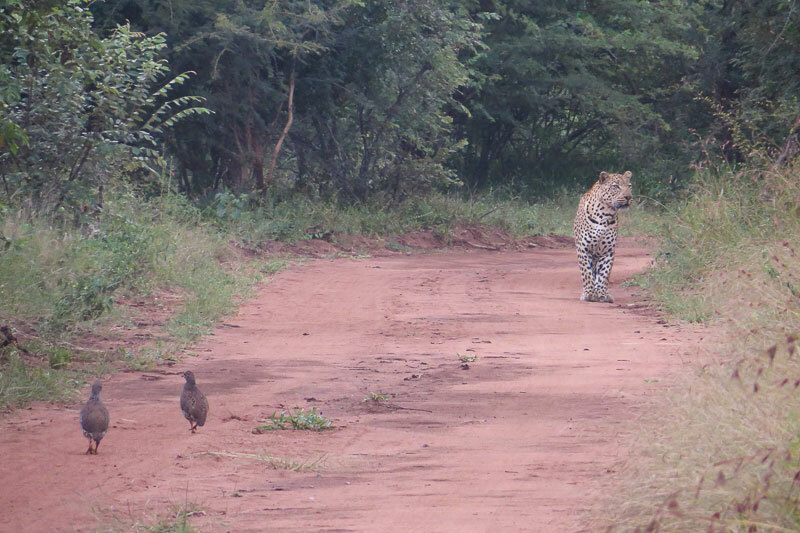 The first leopard that we were able to photograph in the estate. We can run, cycle, or drive where we like without fear of being mugged or hijacked, and only the odd, curious giraffe, warthog, or tortoise in the road ever holds us up. What we see when we look out of the office window! Our doors and windows are barless – not that bars would help with the looters we find out here. In fact, I haven’t yet found any humane deterrents for the dormice, bushbabies and bats that have taken up residence in our thatch. Even with this in mind, my biggest complaint to date was when the kudus decimated my aloes. We’ve seen a leopard from the lounge and a caracal from the office, and (maybe because we don’t yet have kids) for us, this is the ultimate dream. 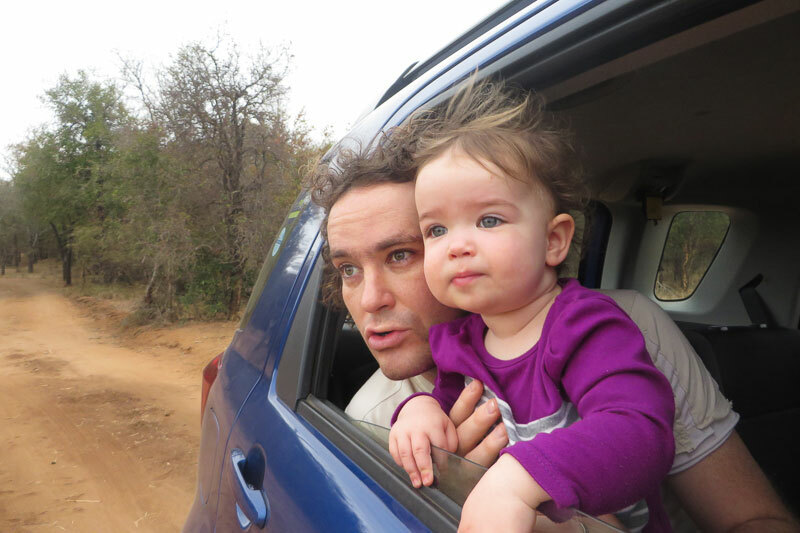 Our Goddaughter and her father, Francois, on a game drive through the estate. It’s true that a lot of city dwellers yearning for the bush (or beach) are chained to the concrete jungle because of the work they do, but this is a gentle reminder that there are some things you don’t have to wait for retirement to achieve. Whether it’s a round-the-world trip, a photographic safari, or a home in the Lowveld, don’t write it off as impossible without doing your research. Who knows, you might just find yourself living the dream. 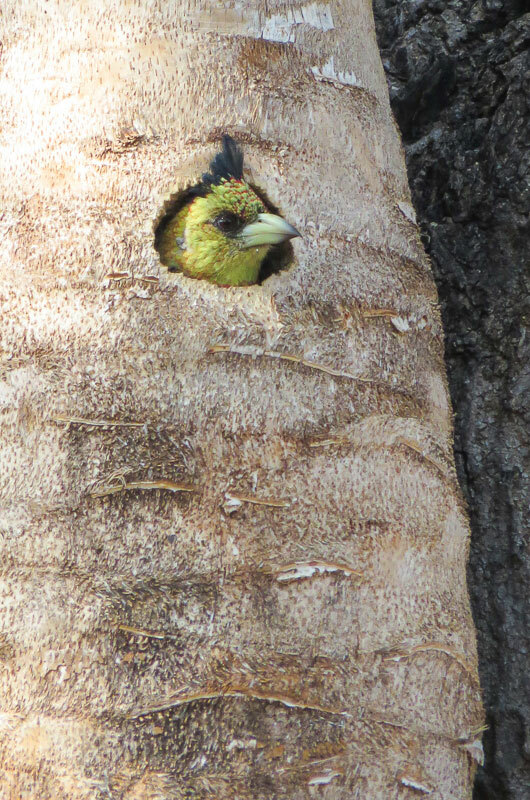 The resident crested barbet looking out of her hole.